The SDDBT is a 501(c)3 organization and we rely heavily on the support of donors, sponsors and members for support. Donations and Sponsorship dollars are crucial to the success of the organization and to help enable us to represent our city and country at local and international races. 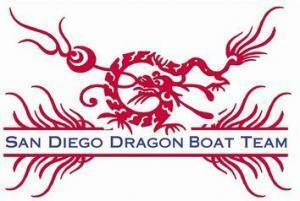 Your donations and sponsorship dollars go to help us fund our programs, maintain and purchase equipment and to continued promotion and preservation of the sport of dragon boating. Below are a few ways you can show your support for our team. Please consider making a donation directly to the team by clicking on this “donate now” button. Any amount is helpful and we appreciate your support! Please sign up for Amazon Smile and select “San Diego Dragon Boat Team” as your charity and Amazon will donate 0.5% of the price of your eligible AmazonSmile purchases to our organization. AmazonSmile is the same Amazon you know. Same products, same prices, same service. Support us by starting your shopping at smile.amazon.com. Please consider becoming a sponsor. We offer international visibility opportunities for your brand and can provide you with a team of people to help promote your brand. Please visit our Become a Sponsor page to learn more today!